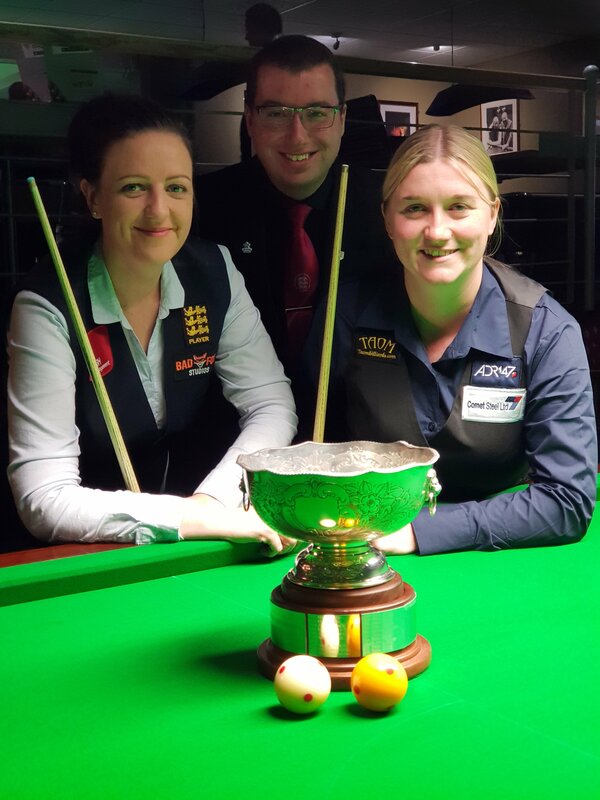 The 2018 World Women’s Billiards Championship took place on Thursday 25th October at the Northern Snooker Centre in Leeds. Defending champion Emma Bonney won her 13th World title and sixth in succession with a 329-209 win over Rebecca Kenna in the final. This was Kenna’s first foray in to billiards after a number of years on the Women’s snooker circuit. This was the 21st staging of this championship; previous winners can be viewed here.